Out of Memphis, Tennessee, living out in the Bay Area, comes a hip-hop artist who has seen some things, has been there and done that, but after a long look in the mirror, DevGotCharacter has taken his game to another level. Adding some introspective ingredients to spice up his artistry, Dev has created what could potentially be one of the most interesting hip-hop releases this year. Far too often in hip-hop, the status quo becomes boring and stale. 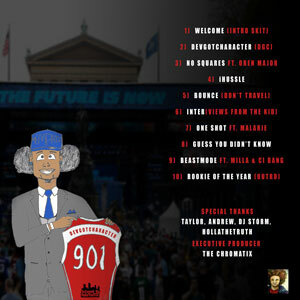 DevGotCharacter takes rap back to where it belongs with thoughtful and whimsical wordplay, while telling stories all wrapped up in a singular and unusual narrative similar to NBA draft nights. In fact the 10 track EP is entitled “Draft Night”, with DevGotCharacter playing the main role. This is a man that is focused and determined to turn the hip-hop game on its ear and to let the world know he is grateful for the talents that have been bestowed upon him. 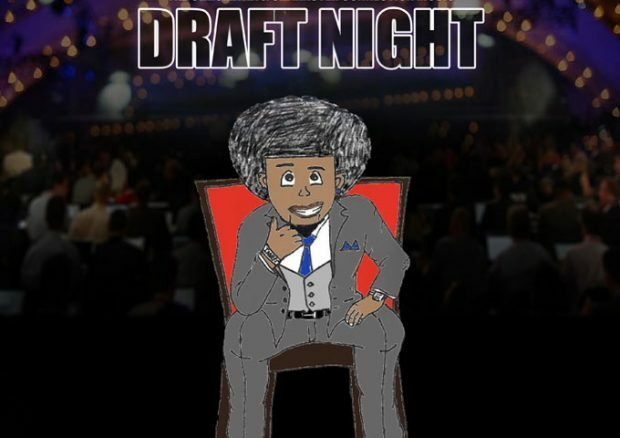 “Draft Night” moves between skits, freestyling, street anthems and soulful bangers. Just like the summer, DevGotCharacter brings the heat. He begins the album with inspirational talk and gets us ready as he’s about to hypnotize us with his poetic flows and surgical rhythmic precision. This project is lyrically heavy and offers great storytelling to those of us who enjoy nice imagery. From the first track “DevGotCharacter” we get the reminder that Dev is a lyrical god and he flows effortlessly over the rich bass heavy beat. A theme that is common throughout the entire project. It is clear that Dev has a story to tell, and we get an in depth look into where his mental space is at on each track. Literally every song projects a story and provides incredible imagery. “No Squares” Ft. Oren Major testifies to that fact while its booming bass will blow your speakers apart at high volume. “iHussle” chops at the walls of Hip Hop with a magnetic flow, breathing incendiary rounds of lyrical power into a track that also supplies layers of melody. There’s nothing lost on the banger “Bounce (Don’t Travel)”. DevGotCharacter comes through with passion on every verse, taking steps outside of his comfort zone as a spitter without sacrificing any lyrical bite. “One Shot” Ft. Malarie brings a honey smooth, soul-infected track. DevGotCharacter leans into these bars with impressive groove and commitment. This far deep into the EP, you already know Dev can pretty much get on any track and destroy it. So when he rides on top of “Guess You Didn’t Know”, the consequences are pretty much what you expected. This project puts DevGotCharacter in a place where he is showing versatility, especially with beat/production quality and rhyme scheme differentiation. 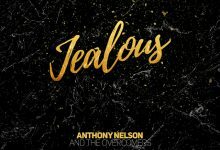 Its welcome tracks like this that combine superb flows with a real emotional connection, helping to pull the listener into his world. All throughout, DevGotCharacter allows himself to dictate the pace of the EP, which flies by as you are listening. His rhyme patterns, lyrics, flow, metaphors and punchlines arguably put him as one of the smartest lyricists in the underground game. On “BeastMode” Ft. Milla & CI Bang, the features chip in to bring some more heat, before “Rookie Of The Year” (Invest In Yourself Outro Skit), closes the show down. 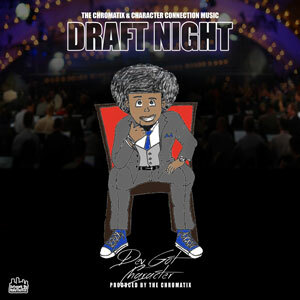 Virtually every single track bangs; the beats and choruses all work overtime; “Draft Night” is a well-rounded beast throughout; it’s expansive in ambition and even the skits work nicely to tie the EP’s narrative together. In other words, you need to pick this thing up!